ATTENTION ALL DODGE HELLCAT OWNERS!!! IT'S HERE, IT'S HERE!!!!!!! FINALLY!!!!! -No additional harnesses or other items to "trick" the computer from check engine lights. *** PROUDLY MADE IN THE USA!!!!!!!! Hey Chris,Could you please answer my PM? 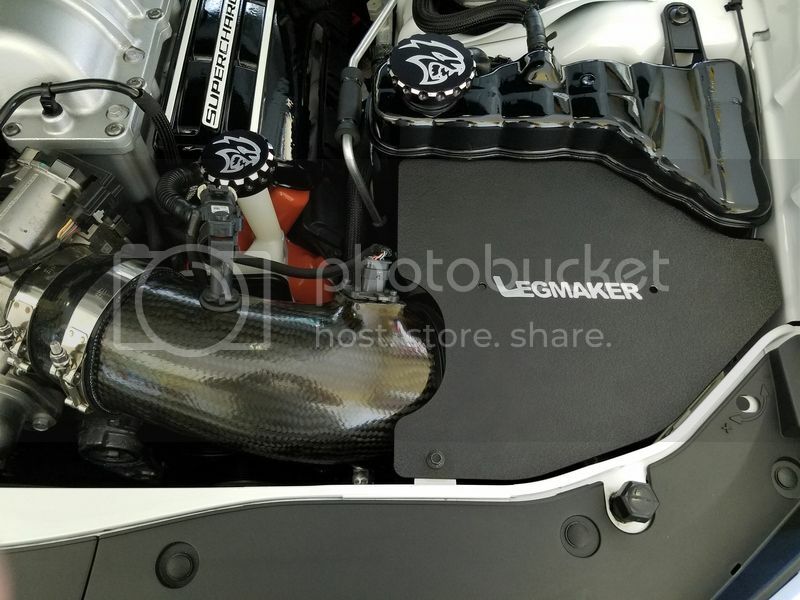 I tested the new Legmaker Hellcat CAI this past weekend at the track. I made two passes with the stock box and two passes with the Legmaker. As you can see in my first pass, I spun bad. Prep was horrible. I pulled timing just to get it down the track. From my last pass with the stock box to the first pass with the Legmaker, I picked up 1mph. This seems to be fairly consistent with the 15-20hp gain that the Dyno has shown. DA was consistent all night. Rising slightly as the night went on. I made a second pass with the Legmaker. Car left better so the ET picked up, but the 1mph gain was still there. Onto the sound. The sound is GLORIOUS. I know my gas mileage is going to drop because I can stay out of it. I keep wanting to hear that blower whine. Kit was easy to install. It's harder to remove the stock box than it is to install the Legmaker. I'll include timeslips, pics of intake, sound clips below. I would be willing to test one at the Tx Mile in April. 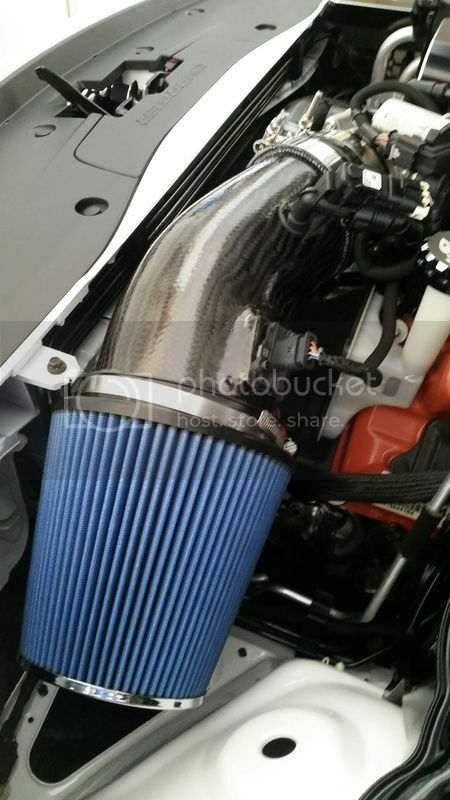 Run two passes with the stock air box, then two with the LMI. Real Curious to see if it would pick up much on the big end. I am not going to do pulley or tunes, leaving it all stock. CAI, maybe add some MS-109 to the 93 pump gas and that's it. Keep telling yourself that, .